I am on a four-stage plane journey, from Vienna to Sharm-el-Sheikh and back via Istanbul. On the first leg, from Vienna to Istanbul, my Turkish Airlines flight features seat-back video and I choose recent blockbuster “Black Panther”. Unfortunately the crew make many announcements in numerous languages (bold italic links are to other blogs on this site), interrupting the movie. So I miss the end of the film, which I am hoping will include astonishing plot twists but fear will mostly be superheroes slugging each other (a fundamental problem with all superhero movies: if two superheroes have a superhero fist-fight, how do you make it interesting? No-one knows). On the next three legs, Istanbul-Sharm, Sharm-Istanbul and Istanbul-Vienna, the Turkish Airlines aircraft are older, without seat-back video. So I haven’t seen the end of “Black Panther”. Should I make an effort to catch the last 20 minutes? What do you think? No spoilers please! The news gets worse. On the communal screens on the older planes, the airline shows episodes of Fish Tank Kings. This is a reality TV show in which… people build fish tanks. Why would anyone want to watch this? According to National Geographic, who produce the show: “Extreme fish tanks have become the ultimate status symbol and the people who are on the cutting edge are in high demand”. Not from me, they aren’t. Result: instead of watching a movie, I read books: Jeeves and the Feudal Spirit by P G Wodehouse and Lady Anna by Anthony Trollope. This brings to eight the number of books read on my holiday in Sharm-el-Sheikh, a 15-day period when I make a conscious effort to detox from my phone; to swim in the ocean; and do four hours of writing, daily. My second conclusion is that Trollope is, as I have blogged before, one of the world’s great novelists. Lady Anna is not one of his best novels but is nonetheless full of wit and wisdom and addresses issues of power and feminism which remain relevant in these #MeToo days. See the link for my blog reviewing the book. My third thought is to recall the excellence of P G Wodehouse. More blogs coming up on him – I even have a dedicated Wodehouse “category” – see top left on front page. 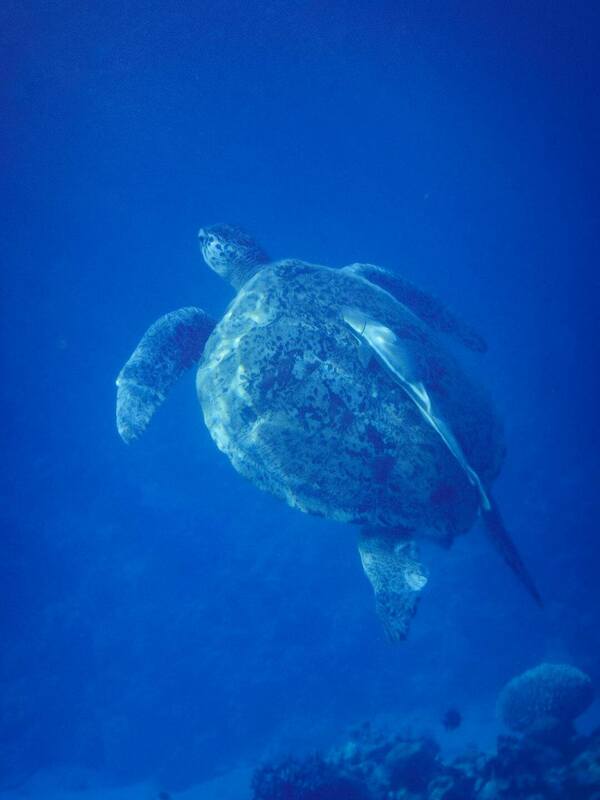 Finally, everything pales into insignificance when you confront a giant sea turtle in the water. This individual seemed unconcerned by having a couple of snorkelers nearby. When he or she surfaced, one or two metres away, the head seemed primaeval, like a living dinosaur. Breathtaking. For a selection of other photos from Sharm el Sheikh, see my Facebook account. A wonderful two weeks – even without seeing the end of “Black Panther”. By Robert Pimm in Existential - and women, Reviews, Writing: about writing on 26/05/2018 . wow, I made it only to five books within three weeks. and not even ten hours of writing alltogether…well, see you soon anyway on http://www.weinfreundin.blog for a few thoughts on orange and natural wine.